While I adore Mercy Thompson, the Alpha & Omega series is my favorite series by Briggs. 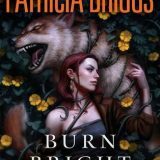 Burn Bright by Patricia Briggs is the fifth book in the Alpha & Omega series and take place in the same world as the Mercy Thompson series. Burn Bright packed a wallop and kept me on edge. I lost myself in the story and devoured it in one sitting. 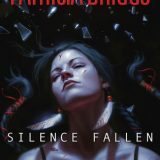 Silence Fallen by Patricia Briggs is the tenth novel in the wildly popular Mercy Thompson urban fantasy series. Trouble has a way of finding Mercy and this time she ends up alone and in Europe. From the non-linear timeline to the Doctor Who comments I loved Silence Fallen. Fire Touched by Patricia Briggs is the ninth book in the Mercy Thompson series. I love slipping into these tales and have become attached to the characters within. Fire Touched was a delightful installment and reminded me of earlier books in the series. Plot driven, intense and captivating I devoured every word. 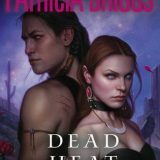 Dead Heat is the fourth book in the Alpha & Omega series by Patricia Briggs. I listened to the previous books but was offered an advanced print copy of Dead Heat. Ironically, I could still hear the narrator in my head as I read. For those who are curious, I fully intend to continue the series in audio format. Dead Heat was intense and brought us closer to Charles and Anna. 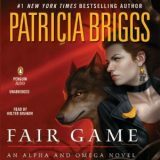 I enjoyed the first two books, but Fair Game by Patricia Briggs hooked me and I know without a doubt that I will continue the Alpha & Omega series. Filled with danger, humor and character development I love this world. Our little bunny is turning into one heck of an Omega. 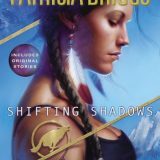 In August, I read an anthology collection by Patricia Briggs called Shifting Shadows. I am a huge fan of the Mercy Thompson series, but in the collection, there was an Alpha & Omega story. 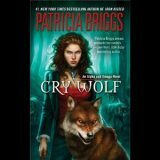 I knew I had to visit this world and bought Cry Wolf on audio. I am so glad I did. I love how the world crosses over into Mercy’s world. As for Anna and Charles –le sigh. I love Patricia Briggs’ Mercy Thompson series. Since I rarely read novellas Shifting Shadows the complete collection her published short stories involving the Mercy Thompson world had me curious. Shifting Shadows is beautifully compiled, and all of the tales engaged me making this a total win for Briggs’ fans. I walked away with a smile and new books in my TBR pile.